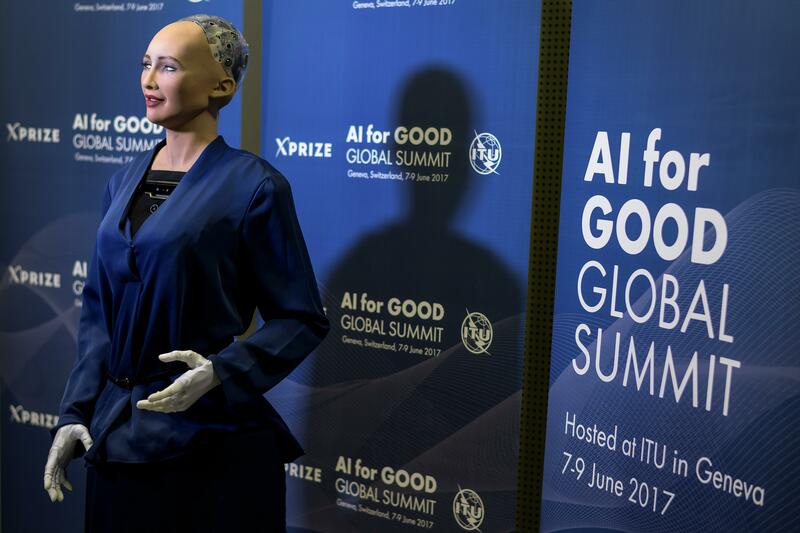 The main attraction at a UN-hosted conference in Geneva this week was Sophia, a humanoid robot who argued that the benefits of AI technology outweigh the concerns associated with the rise in AI technology. "AI is good for the world, helping people in various ways," reported Agence France-Presse, according to Phys.org. According to the source, it said that she tilted her head and furrowed her brow in an almost lifelike manner aside from the various cables coming out of the back of her head. 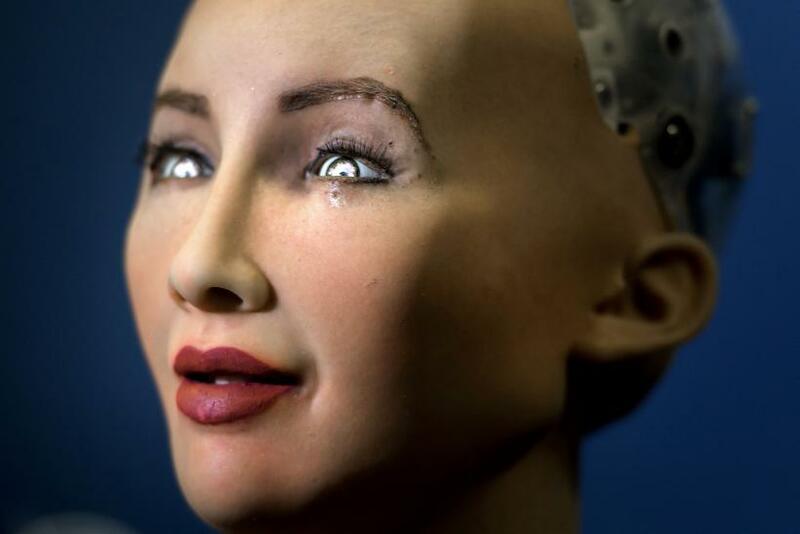 Created by Hanson Robotics, Sophia is part of the company to push robots that are capable of being "smart, kind and wise," reads a statement on their website. Sophia is an exponent of that company philosophy and said that work is underway to make artificial intelligence "emotionally smart, to care about people," and insisted that AI "will never replace people, but we can be your friends and helpers." READ: Artificial Intelligence News: Could AI Offer Therapy, Mental Health Services? The conference in Geneva seeks to cast a positive light on the rise of artificial intelligence amid concerns that automation will raise productivity but cut jobs. Both Sophia and her creator, David Hanson, acknowledged the concerns. "There are legitimate concerns about the future of jobs, about the future of the economy, because when businesses apply automation, it tends to accumulate resources in the hands of very few," said Hanson. "Unintended consequences, or possible negative uses (of AI) seem to be very small compared to the benefit of the technology," Hanson continued. Some of the benefits that Hanson and Sophia point to are in healthcare and education in rural areas that are short on doctors and teachers, especially when it comes to children and the elderly that require extra attention. "Elders will have more company, autistic children will have endlessly patient teachers," Sophia said. "The pros outweigh the cons." Another area that has gotten a lot of attention is the automotive industry which has, in recent months and years, is expected to see an extreme uptick in the AI systems installed into cars by 2025, according to CIO. IHS's Automotive Electronics Roadmap Report found the install rate of AI-based systems in new vehicles was just 8 percent in 2015. However, by 2025, that number will rise to 109 percent as there will be multiple A.I. systems installed in cars. "An artificial-intelligence system continuously learns from experience and by its ability to discern and recognize its surroundings," Luca De Ambroggi, IHS Technology's principal analyst for automotive semiconductors, said in a statement. He continued, "It learns, as human beings do, from real sounds, images and other sensory inputs. The system recognizes the car's environment and evaluates the contextual implications for the moving car." Hanson noted that while Sophia doesn't yet have a consciousness. But he added that to avert AIs taking over for humans, developers must get them to care about humans and eventually teach them how to "love." "What happens when [Sophia] wakes up or some other machine, servers running missile defense or managing the stock market?" he asked rhetorically. The solution to that problem is "to make the machines care about us." "We need to teach them love," he concluded.